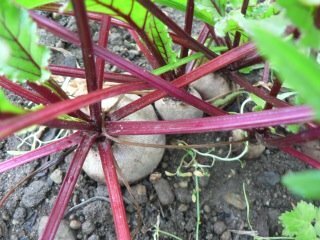 Growing Beets - Everything you need to know. Beets have a long harvest, long storage life and produce a lot in a small space. Once the leaves are about 3 inches they can be cut at the stem and used in salads. Once they get a bit larger they are lovely steamed. The roots can be pulled at any size starting when they are the size of a golf ball. This vegetable can stay in the ground until there is a heavy frost. This veggie can be transplanted but are usually seeded directly; just remember they do best if thinned to about 3 inches between each plant. This is a good vegetable to succession plant so you can harvest all fall. 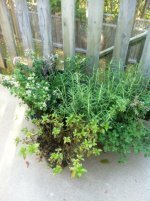 Location - Open well drained soil, free from shade. Soil - Loose, fresh, clean and slightly sandy with neutral pH. Soil Preparation - Dig in plenty of compost or manure, seaweed and lime (5 pounds per 50 foot bed) and borax. Make sure soil is well prepared and dug deeply as roots penetrate several feet, nutrients added close to the surface have little value. 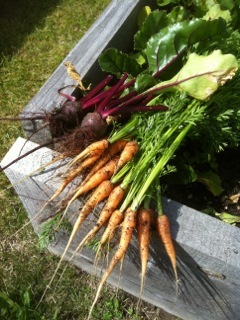 Does well after a green manure. Seed Spacing - 2 inches apart 1 inch deep; when using transplants space 3 inches apart. Planting times - Sow April to mid July, transplant out after 3-4 weeks; can direct seed but will need to be thinned to 3inches apart. 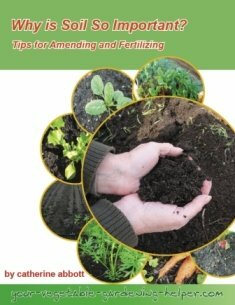 Planting Instruction - Put a handful of compost in the hole when transplanting. Cover with remay to avoid leaf spot. If soil has too much nitrogen the roots can fork and create a look of hairiness. Watering - Need regular watering. Disease & Insects - Leaf miner, beet web worm, leaf spot. Harvest - Leaf: cut individual leaves when 3 inches or smaller for salad. These must to be cooled quickly by putting them in cold water. Root: harvest by pulling the whole plant when they are the size of a golf ball or larger. Storage - When storing cut off the beet greens leaving at least an inch of stem and then store the greens and roots separately. Place the greens in a plastic bag and use within a few days. Store the roots in the refrigerator for up to 3 weeks. If you have a large amount store in a box packed with peat or straw. They can also be left in the ground if well mulched and the soil will not get too wet.